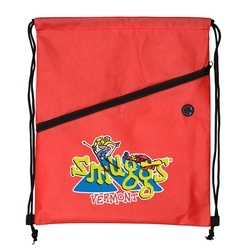 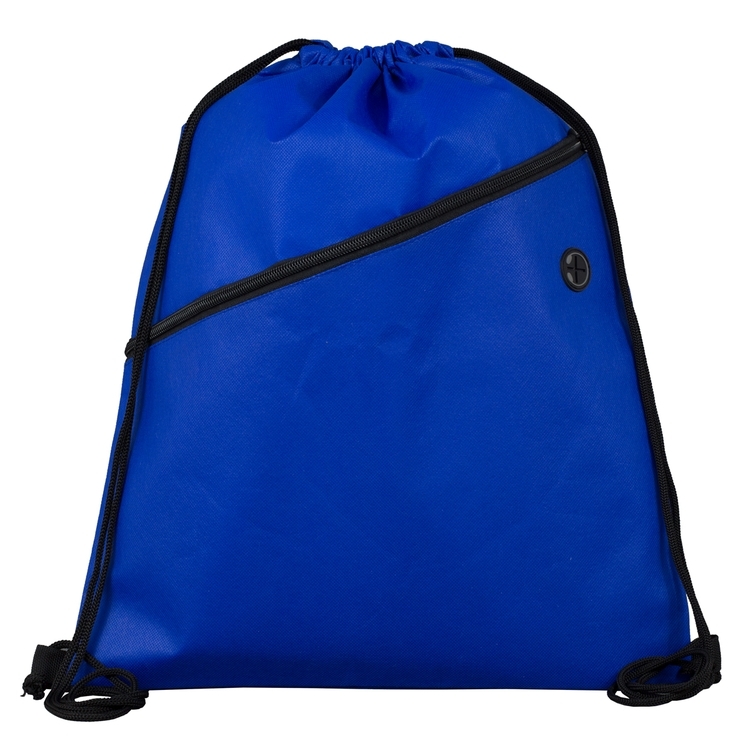 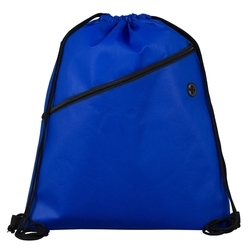 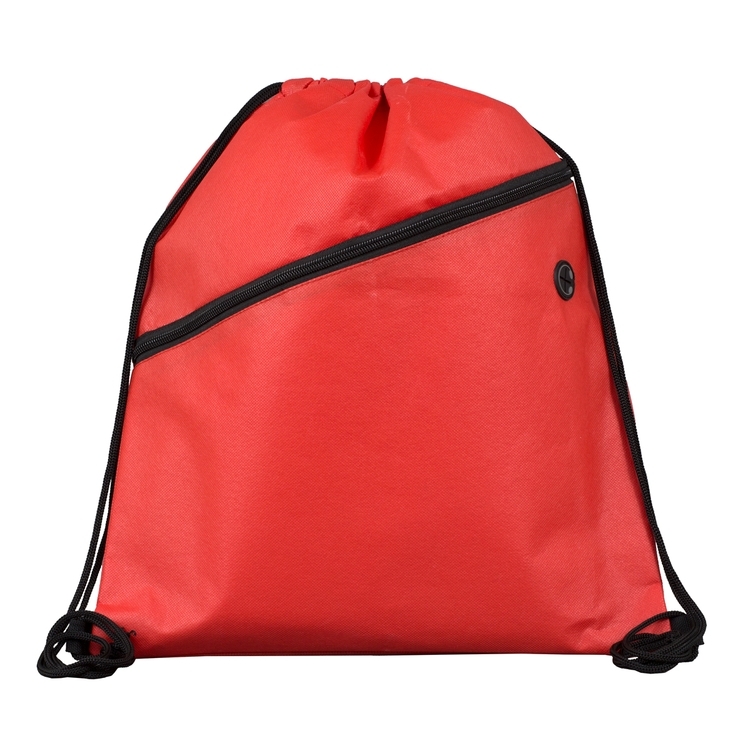 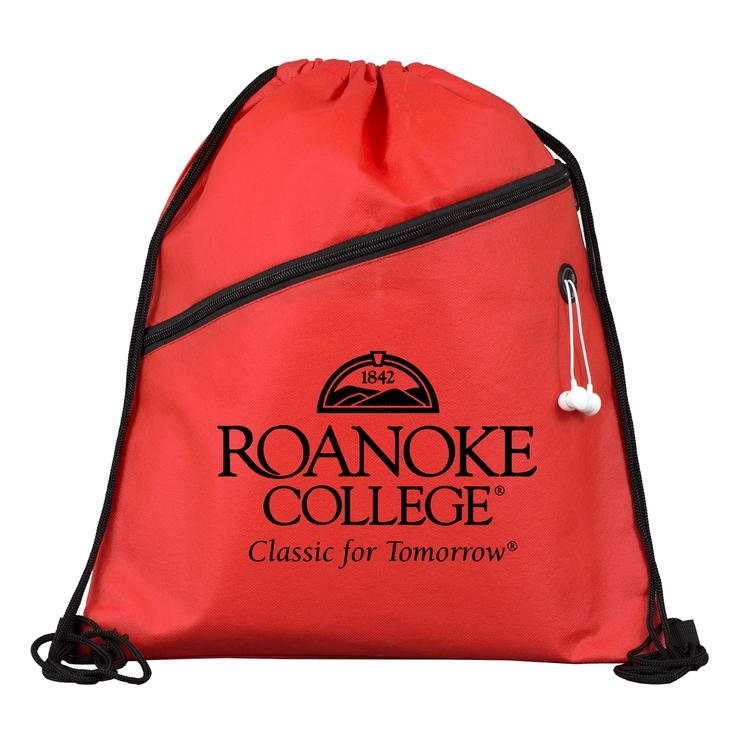 This 80GSM non-woven sports backpack cinch pack. 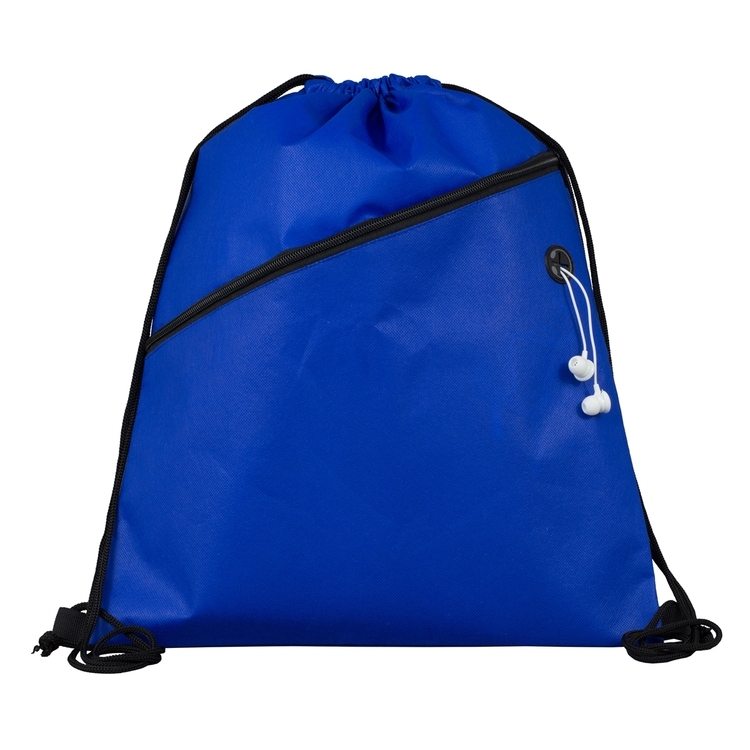 Comes with a drawstring closure, reinforced eyelets and 5mm twisted drawstring cord. 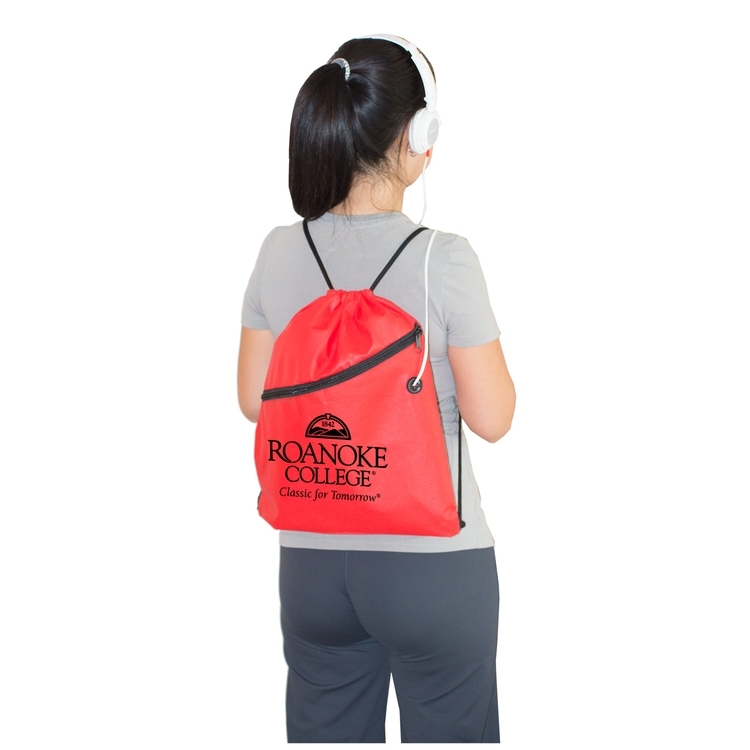 It features an extra large front zippered pocket, a built-in eyelet slot for earbuds, and is economically priced, reusable and Recyclable. 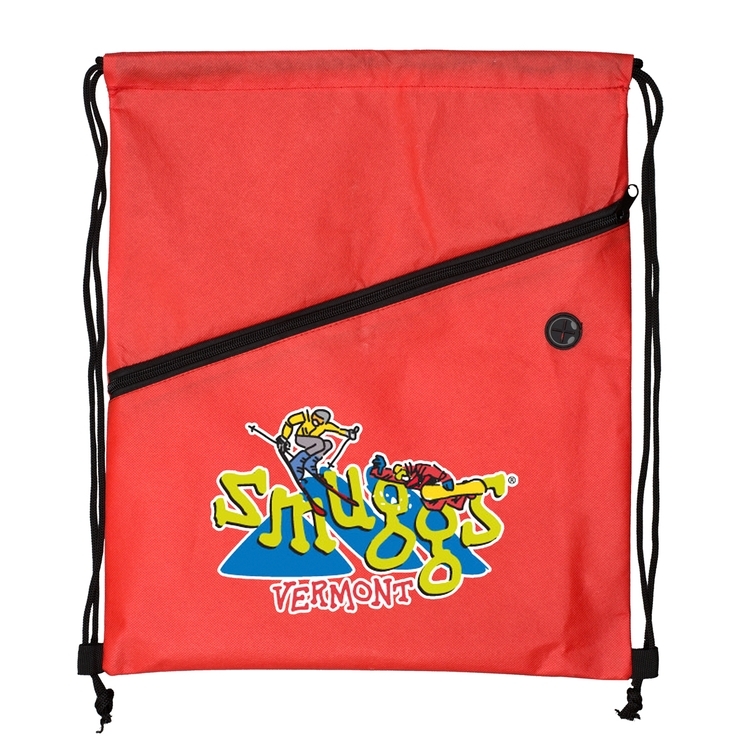 Also available with a PhotoImage Full Color Imprint! PMS Color Match Charge: $32.00 (G) per color, not available for 4 color process imprint. Photoimage 4 Color - add $1.10 (G) running charge, Setup Charge: $50.00 (G) Minimum 200 pcs, add 3 days production time. 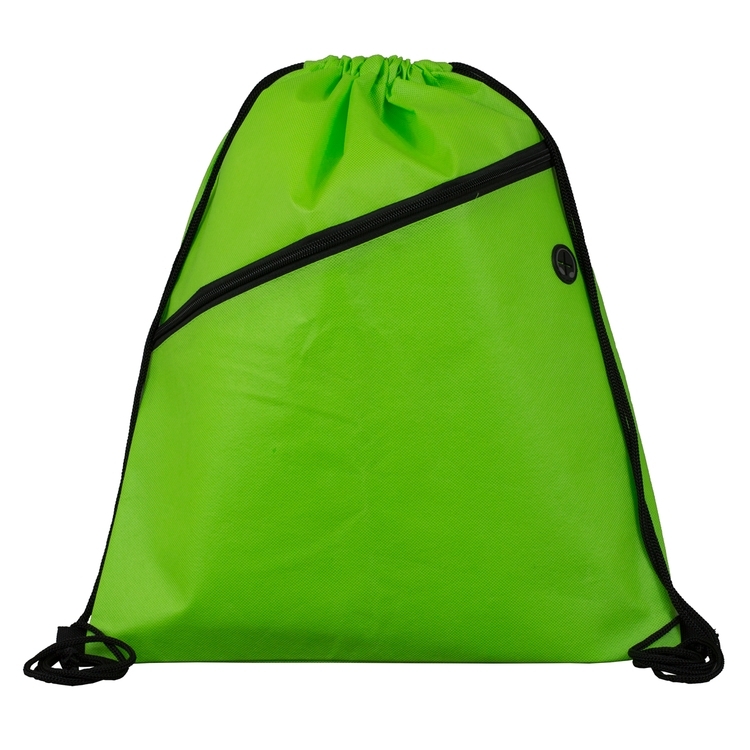 Speculative Sample: Spot Color - $25.00 (G), plus setup charges, cost of the item and cost of any additional color per unit running charges and freight charges. 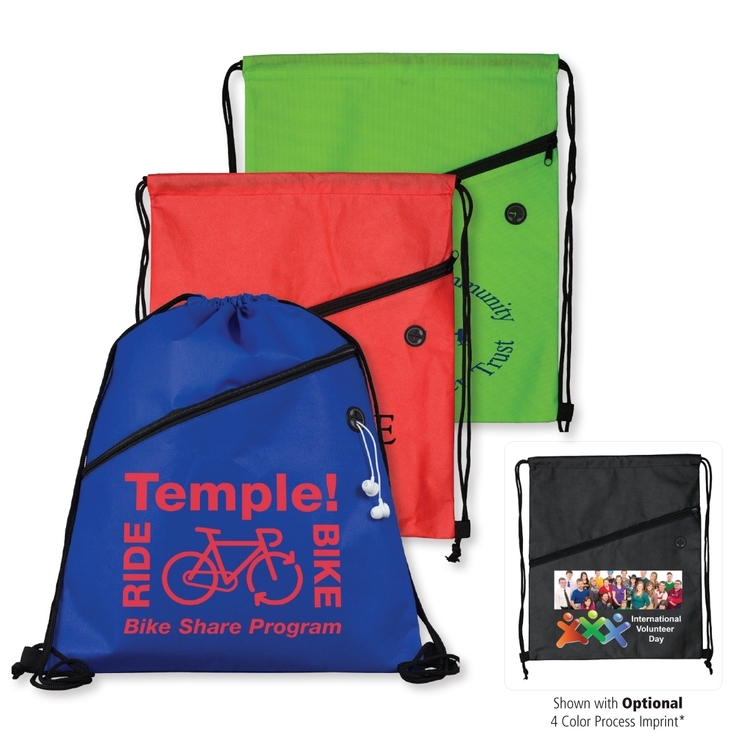 4 Color Process - $160.00 (G), plus setup charges, cost of the item and cost of any additional color per unit running charges and freight charges. 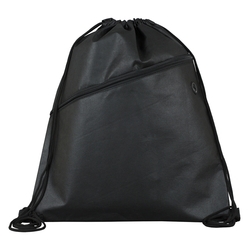 Production Time: 3-6 Days.